← How to Add Subtitles to MTS Videos? However, although Keynote has a lot of new changes, it is still a hard time for users to embed YouTube video to Keynote when they want readers to understand what the presentation is expressing without making further explanation because Keynote now does not accept embedded videos within a presentation. What movie and video file types will play in Keynote? Keynote uses QuickTime to display content, so if you can open it in QuickTime Player and play it with no problems, you should be able to use it in Keynote (except, of course, protected videos from the iTunes). Thus for the purpose of figuring out the solution, we need to use a third-party software to convert the YouTube videos to the format that we need for the Keynote presentation. 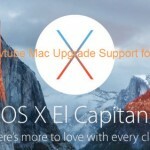 Here you can highly depend on Pavtube Video Converter for Mac (review). It has a good reputation online that can solve almost all the video format conversion troubles for our users. Even for the latest codec H.265/HEVC, it can hold well. Besides, it also supports encoding to M3U8. Step 1: Download and have a quick installation. The trial version will have a watermark on your converted files. Except for that, there are no time limitation, no virus, and no unnecessary bundle apps while downloading. After that, click “Add Video” button to load your downloaded YouTube videos. You can load several files at once thanks to “Add from folder” button. Step 2: Select the right formats for playing on Keynote. Here we suggest you to go to the “Common Video” list, you will get the “MOV- QuickTime (*.mov)” as the best output. Step 4: Click “Convert” button to start YouTube video to QuickTime MOV conversion for Keynote presentation. You can get the generated files by clicking “Open” button. Conclusion: If you don’t want to wait for the entire conversion process, you can tick off “Showdown computer when conversion completed” and go away to do other things. 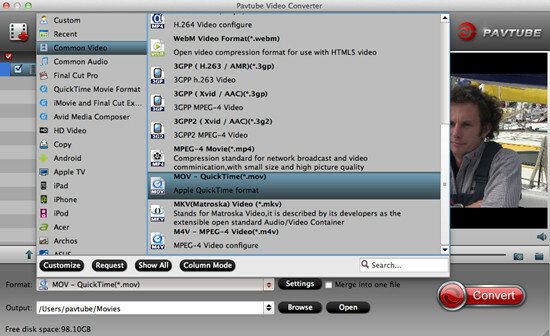 Pavtube Video Converter for Mac is great, safe and easy to use. YouTube video can be workable with Keynote now. Continue proceeding with the following steps to finish the rest. -Click on “Insert” tab and select “Choose” and then choose the video file that you want to add. -Click “Insert” button and the video will then appear on Keynote.